High quality iron doors are manufactured with attention in every detail. Signature Iron Doors provides a timeless product, one that is beautiful as it is secure and durable. Skilled artisans provide drawings to match each customer’s home and iron technicians hand forge every piece. Although we provide ample designs of our own, custom design is always a welcomed option. 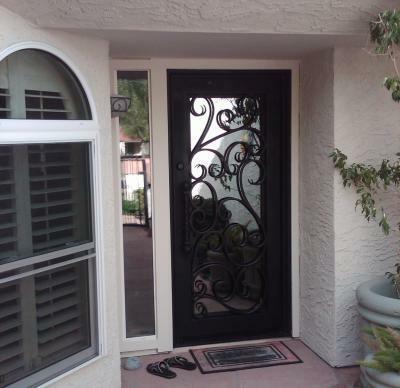 These photos are from a couple homes in Scottsdale Arizona we recently built doors for. Scottsdale Arizona is home to many of Signature’s products. With our largest showroom located just a few miles south in Phoenix, our Signature team is able to assist quickly and thoroughly throughout production. 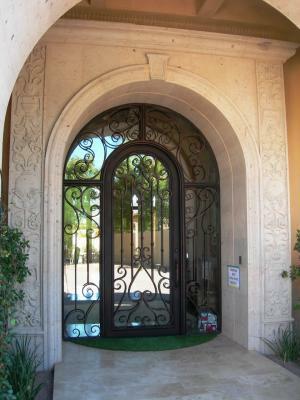 Call us and come visit our showroom in Phoenix Arizona off of Southern and 40th St to learn why homeowners love Signature Iron Doors for all their iron work needs.